Don Mills Juniors bring home some serious hardware! At ICTA’s 2017 Tournament held at the AVIVA Center yesterday, two Don Mills juniors teams fought and won the titles for Boys A U14/U18 Champions and Girls U14/U18 Champions. Way to go Don Mills juniors! 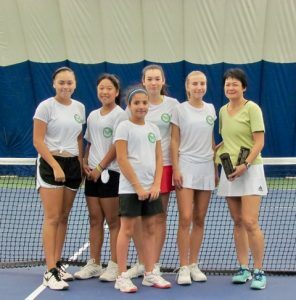 Not only did they win the Championships for their categories, they and their captains made an excellent impression on the ICTA administration and the wider Southern Ontario tennis community. ALL the players and captains arrived on time, were organized, played well and showed good sportsmanship. ceded them the court and agreed to play after them, even though this delayed matters considerably. moms on the sidelines, without breaking down; one opponent team had gone AWOL and arrived late on court by 30 minutes – on the adult circuit we’d be screaming FORFEIT! ; one young lady came back from being down 3-7, to even it up at 7-7, to win it at the tie break 7-5 … all this on Centre Court – – and the kids play no ads, sudden death, so imagine the pressure. They don’t have two or three sets to recoup a late start –they play Pro 8, sudden death, and that’s it. Makes one focus, doesn’t it? Of the very rare six awards given junior league-wide, for having an impressive, dominating wins season and playing in more than one league – TWO of these recipients were from Don Mills: Collin Guo and John Tadros. Not bad for products of a small community club, not an academy. And only one junior out of the more than 1,000 ICTA junior league players received the Junior League SuperStar Award – for their playing, participation, sportsmanship, volunteerism in promoting tennis and general good ambassadorship – your club’s very own inimitable Élize Kooij. Bravo Don Mills Juniors for bringing in the haul and reinforcing the message that our investment in junior development is worth it! Parents present were smiling from ear to ear, so proud of the kids and their hard work, but also of the club’s representatives and volunteers. 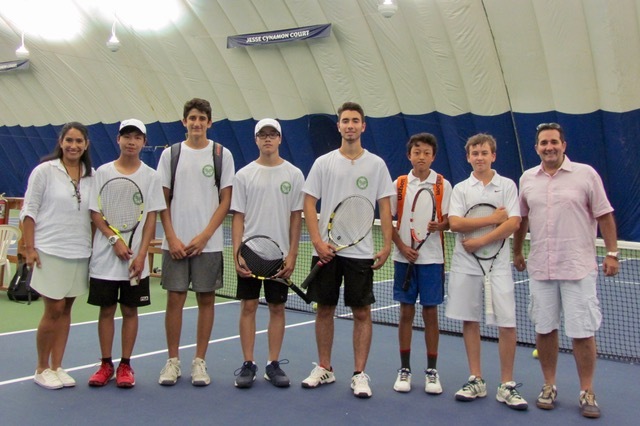 Congratulations to captains Deisy Sosa, Franklin Godoy, Angela Kooij and Peter Lindsay for giving so much to developing junior tennis at Don Mills this year and for guiding the kids through to championship. We’ll do it again in 2018. The ICTA is dedicated to the advancement of team tennis in Southern Ontario. More than 120 clubs belong to the ICTA. Member clubs stretch from Peterborough to Oakville, from Kleinburg to downtown Toronto. 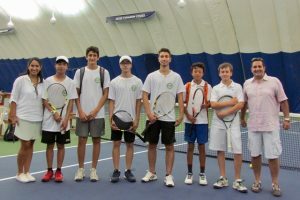 Don Mills Tennis Club is a 500-member tennis club in North York offering well organized instructional, recreational and competitive tennis. We strive to foster athletic skills while teaching good sportsmanship and fair play.